Nollywood actress, Lola Magret, has proven to many that she is a strong woman who will not allow her past to torment or weigh her down. 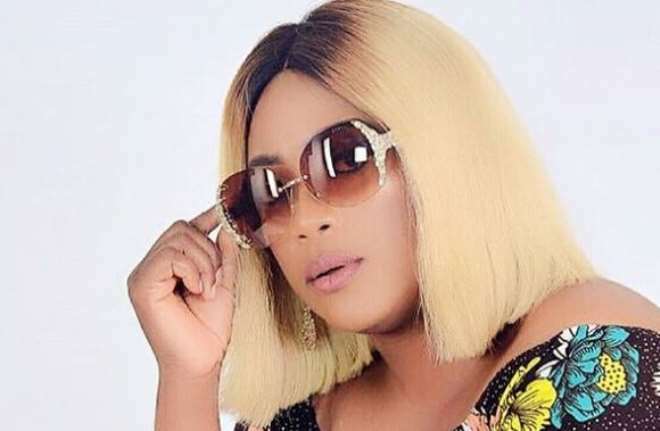 The actress was involved in a fraud case in the US some months back and after her release from the US detention, she was rumoured to have relocated to Ibadan just to regain herself as she tried to stay away from public view. Well, the actress has so far gotten the desired love from some industry friends who have stood by her and also pay her a visit and now she has been able to brace up and face life the way it comes. The actress has happily returned to social media and for now, she is being accepted back without getting bullied.